The identity theft epidemic has been around for so long that many have become numb to the news and the numbers. But with millions of identities and billions of dollars being stolen every year in the U.S. alone, this is no time to sit back and relax. Many people assume that they are immune to this potential threat because they are careful with their information or they assume that they will be made aware in some way if their identity is stolen, but this isn’t always the case. In fact, a 2018 Identity Fraud Study conducted by Javelin Strategy and Research found that one million minors had fallen victim to identity theft over the past year with 66% of those million being under the age of seven. If hundreds of thousands of children under the age of seven doesn’t serve as a great example that anybody can fall victim to identity theft, then we don’t know what does. These thieves would then load up the minor’s identity with huge amounts of credit card debt which can cause serious issues for the child as they enter adult life. 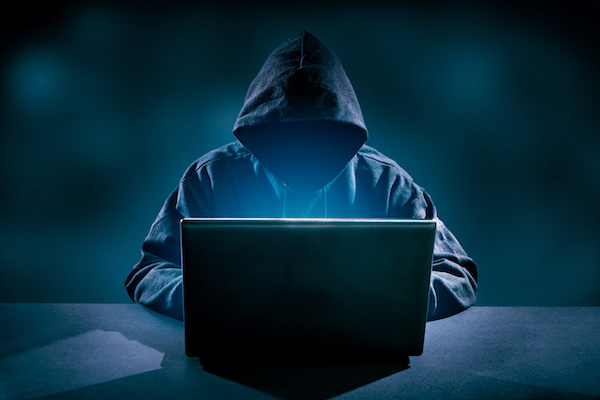 The 2018 study warned, “fraudsters are getting more sophisticated in their attacks using stealthier and more complex schemes”. They don’t expect the identity fraud crisis to go away anytime soon either. In fact, they said they expected this epidemic to continue to grow with 1.3 million more victims in the U.S. this upcoming year. That’s hard to wrap our minds around considering there were already 16.7 million victims in 2017. Those statistics average out to be around 1 in 15 Americans or a new victim every 2 seconds. If only the chances of winning the lottery were that high… This problem doesn’t look like it’s going away anytime soon. And with your likelihood of being a victim only increasing, we strongly recommend that you verify your identity is safe. Sixteen percent of victims don’t find out that their identity has been stolen for three years!! That’s a lot of time for these thieves to cause you some serious pain and problems. Limit how much information you share. Sharing information online can be dangerous. Limit how much you share or make sure your accounts are private! Strengthen your passwords. Add numbers and symbols to your passwords and make sure they’re not something that can be easily guessed. Monitor your financial statements and bank account often. Set up alerts with your bank to make sure you’re made aware of any unusual activity. Be wary of unsolicited emails. Don’t click on links in any emails that you don’t trust or where you don’t recognize the sender. Regularly perform a SSN trace or identity theft check. Performing this check regularly will help you verify that your identity hasn’t been used for anything without your knowledge. If you’re interested in running a check to make sure your identity is safe, shoot us an email at backgrounds@totalreporting.com and we’ll send you our secure identity theft check link!